British Defense Secretary speech on “Russian threat” is a desperate attempt to “save jobs and budgets” for the Cold War crowd, which is worried the new US leader will not consider Russia an enemy, broadcaster and former British MP George Galloway told RT. 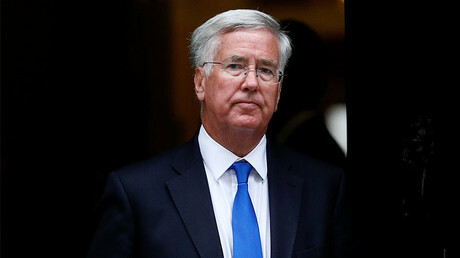 Addressing a group of university students, the UK's defense secretary Michael Fallon warned of a resurgent Russia and said that it is becoming aggressive. 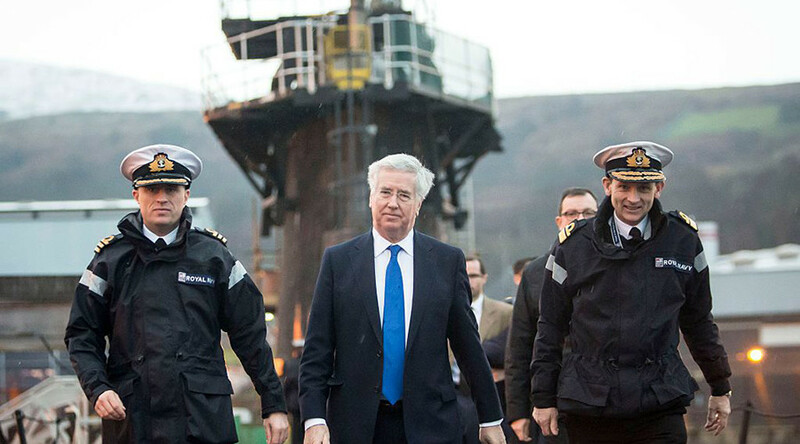 RT: What did you make of Michael Fallon’s speech? George Galloway: Well, Michael Fallon puts the ‘squeak’ in the word ‘pipsqueak.’ He is of course the defense minister of a small and semi-detached European power with not much military prowess and which wants to feel big about itself. And these people, and he’s not alone - the military industrial complex in the United States is up to the same game - they are desperately thrashing around to save their jobs, to save their budgets, to save their roles as muscle-men in the world. And Fallon got used to, as did other European powers, going around the world, threatening people with America’s army. Now America’s army is not quite so reliable, because America has a President who might not want to use the army in the way that these people want him to, at least one hopes not. And so they desperately seek to continually exacerbate the existing tensions with Russia to defend their own relevance. So it’s all pretty pitiful, actually. Right down to the audience of university students, hoping that none of them would challenge him. I’d like him to debate these matters with me, he knows me well, he comes from the same town in Scotland as me. I’d really love to get my metaphorical hands on him to have some of these matters out. The truth is that the European Union is having to come to terms with the fact that the US now has a President that doesn’t want war with Russia and they - who have built their entire 50-60 years of history on the possibility of war with Russia - are all at sea, except we don’t have that many battleships left either. I can understand the ‘carrot and stick’ approach that is needed towards Russia, but at the moment we are only getting stick and there doesn’t seem to be any carrot. More and more confrontation, sanctions and rhetoric against Russia whilst we are not actually trying to engage with them to try to lower tensions. This is very concerning for me and an increasing number of conservative members of Parliament. RT: Let’s assume he telling completely the truth about everything he says. Big if, but let’s assume it’s all true. What are his argument about NATO build-up on Russian borders? GG: Russia has no tanks in Poland, but Britain does. Russia has no tanks in the Baltic States but the NATO countries do. It’s the NATO countries that carried out the coup in Ukraine, and moved their political, strategic and military force into Ukraine on Russia’s border. The Ukrainian coup government is the one that’s bombarding Donbass right now, as we speak, and shedding civilian blood, and rivers of blood are running down the streets. So it’s quite Orwellian, actually, it’s the complete reversal of the truth. And of course he threatened cyber warfare against Russia. Most unwise, I would have thought, because it seems to me fairly clear that there are a lot of people in Russia quite good with the Internet, and a British Defense Secretary saying “Bring it on!” is probably unwise for Britain’s industry, Britain’s whole cyber infrastructure. And he mentioned this place I’m sitting in now. The attack on so-called “Russian fake news” is an attack on RT. And why has he done that? Because RT is powering further and further forward, more and more people switching on to it. Because they don’t like the fake news in the British state broadcaster, the BBC, because they don’t like the fake news, the Cold War fake news that we’ve been treated to for decades. So in a way it’s a badge of honor for those of us who present programs on RT, we’re definitely getting under their skin.